Meet Christoph Aschwanden, the Englishman in New York, the Swissman in Japan. Fred: Hi, Chris! Thank you so much for agreeing to another interview. Please introduce yourself and tell us something about your career as a developer. Christoph: My name is Christoph Aschwanden. I was born and raised in Switzerland. I later went to Hawaii for study and work and currently live in Japan for seven odd years. Back in the days, I started developing games on my Atari ST. I was mostly interested in strategy games. However, I also tried my hands on more action-oriented games, unfortunately with dubious outcomes. With the appearance of the world wide web, I developed my first online multiplayer game “Aevum Obscurum” which still is somewhat of a success. The game now is available in its fourth installment under the new name “Age of Conquest IV“. Otherwise, I am still fascinated by strategy games, be they turn-based or real-time. That’s what I am mostly doing, trying come up with the next big hit. At the same time, I spend time maintaining the current releases of my games. Fred: How’s life as a Swiss in the Far East? Please tell us one thing you still miss about Switzerland and one Japanese thing, you can’t live without anymore. Christoph: Life in Japan is very nice. People are very forthcoming. As for things I can’t live without, I’d probably go with the Japanese restaurants/Isakayas. Compared to western countries, food that is ordered is shared with everyone at the table while having a drink or two. In contrast, I can’t tell how many times I have ended up ordering the wrong dish in Switzerland, jealously looking at my neighbor’s plate of food. I miss Swiss cheese the most when it comes to eatables. It’s mostly natural cheese here in Japan unless you are able to get hold of one of the little bit more pricey imports. Fred: Looking at the portfolio of Noble Master Games, it’s pretty clear, that you have a thing for strategy games. Could you reveal your favorite strategy games and why you love this genre? 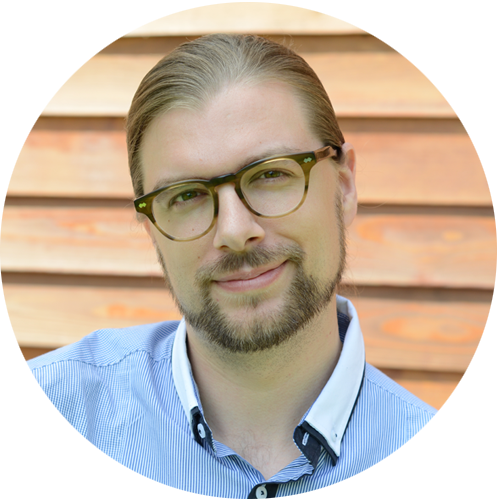 Christoph: Among my favorite games are Crusader Kings, Factorio and RimWorld. I think what’s doing it for me is the world building aspect. Those games really manage to pull you in. Given that the storylines are open-ended, it’s really difficult to stop playing. In that sense I try not to play them as it’s hard to let go, i.e. no developments for the games I am working on is happening. 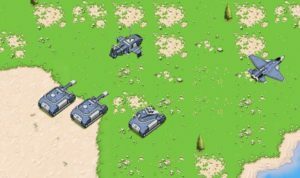 Fred: At the moment, you’re working on your next strategy game called “Retro Commander“. Would you like to share some details with our readers to tease us? In Case you’ve wondered what 10% of Retro Commander look like. Christoph: Retro Commander is the next installment of the Tropical/Desert Stormfront series. The game plays on a future earth, devastated by meteor impacts. Several factions battle to restore order to the planet. The player will take control and lead the good vs. the evil forces of darkness. Compared to the original version, the game features map building and a more in-depth storyline. Some details still have to be fleshed out in greater depth. At the moment the game is about 10% done, so there is quite a lot of work left to be done. Fred: Finally, our off-the-wall question from the Daikon Media surprise bag: If you could have dinner with anyone from history, who would it be and why? Christoph: I’d probably go with Albert Einstein. Besides his scientific work, he seemed to genuinely be a fun guy to hang around with.